My backpack is packed and I am ready to go! For the past several months I have been in planning, preparation, and training mode for my 100-mile thru-hike on the Lone Star Hiking Trail. 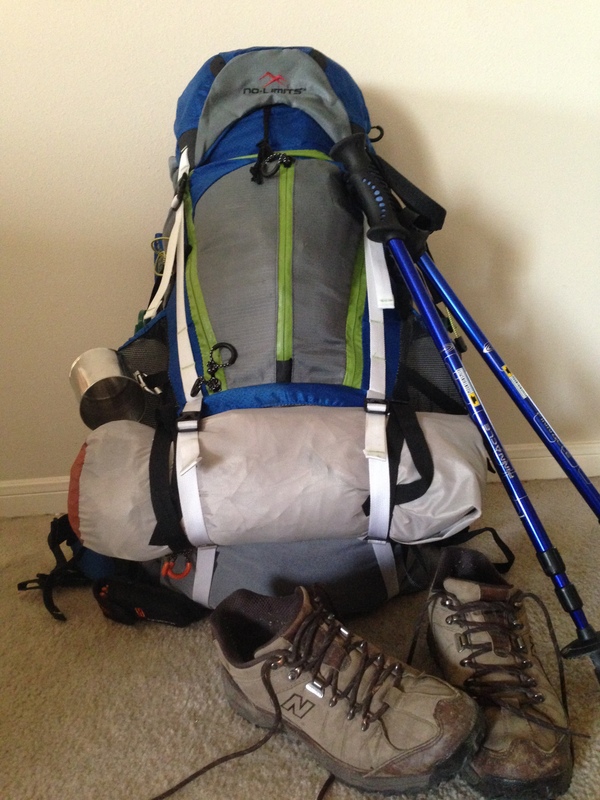 I researched every piece of gear that I have purchased for the hike and weighed each piece more than once. I have done lots of training hikes with my friends Bill and Doyle who will join me on this epic adventure. And, I have talked to and received great advice from others who have hiked this trail that meanders through the Big Thicket area in the Sam Houston National Forest. 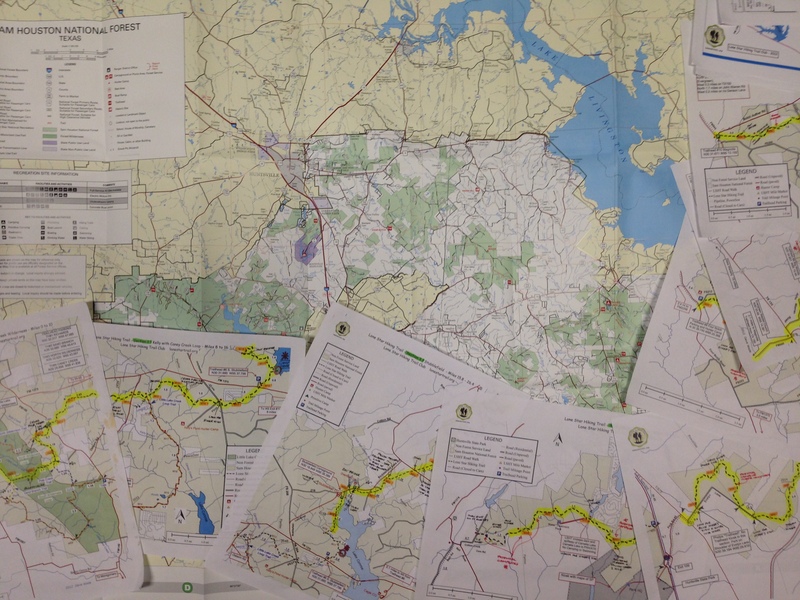 Of course, I have spent lots of time studying all of the trail maps to become familiar with each segment. I have made special notes on each of the 11 maps, noting cautions shared by other hikers — things like places where we will encounter dogs along the way, where we will resupply ourselves with water, marking a possible detour around the East fork of the San Jacinto River in case we are unable to cross, and noting where we will camp each night. I have also kept Yogi Berra’s humorous counsel in the back of my mind: “If you don’t know where you’re going, you’ll end up someplace else.” Gotta’ love Yogi Berra! I definitely don’t want to end up someplace else. I can hardly believe that in two more days we will take our first steps at Trailhead Number 1 near Richards, Texas. I’m ready to go. I’m tired of watching YouTube videos of other guys hiking the trail. I don’t want to spend another dollar at Academy, Bass Pro Shop, or REI. I’m tired of staring at my backpack and dreaming about this adventure. The time has come to act — to leave the comfort of my house and embark on the adventure. While I have enjoyed all of the planning and preparation and training periods, the time has come to get it done! I don’t know that I have ever needed vacation time more than now. I really need this time away to walk and to breathe and to think and to appreciate the beauty of God’s creation. I look forward to the fellowship with my hiking buddies but also to some periods of solitude along the way and in my tent each night. Although the adventure will be strenuous, I hope to return home with a refreshed heart and mind. I plan to keep my phone off during the hike but hope to send occasional pics or video to my daughter Niki. She will post them on the Lone Star Pastors Facebook page that she maintained during last year’s Texas Water Safari. So, if you’d like to follow our adventure, you can check updates there or the occasional picture on my Instagram account at #omarcgarcia. Of course, this is assuming I have a cell phone signal when I try to send a pic. I look forward to good things in the coming days and would appreciate your prayers for me and Bill and Doyle as we take this long walk through the woods. Thanks for following our adventure. What a great adventure Omar! I will be praying for you guys and wishing I was with you! Thanks, Chad. Looking forward to serving with you in June in Idaho. Sounds like a great trip and one to appreciate our God’s creation. Be safe.